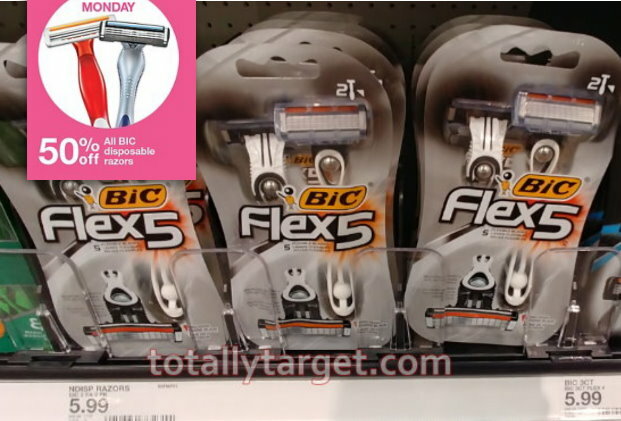 This week thru March 23rd, Target is offering up a different one-day only beauty deal, and today’s deal is a nice big discount of 50% off All Bic Disposable razors both in stores and online at Target.com. Even better, there are lots of coupons out there to grab razors as low as FREE. Here’s just a few ideas for you…..